Milwaukee Police are searching for a motive after a deadly shooting on the city's north side Thursday morning. 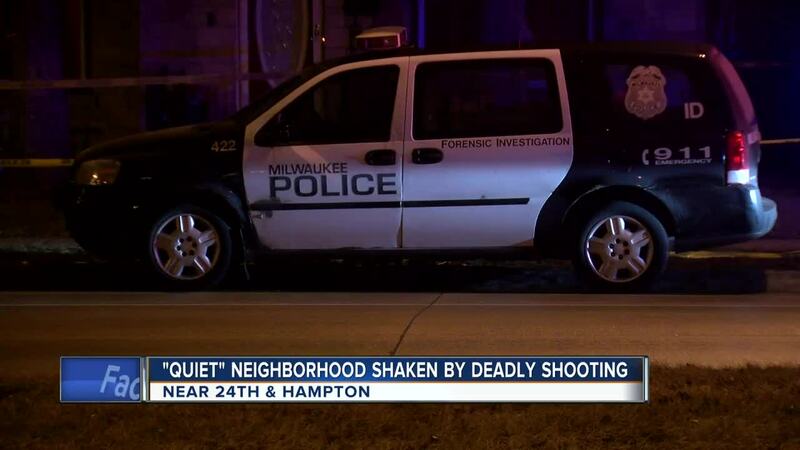 MILWAUKEE — Milwaukee Police are searching for a motive after a deadly shooting on the city's north side Thursday morning. Flashing lights, police tape and a family clinging to one another were part of the scene near 24th and Hampton. “It’s too close to home, it’s too close to home. It’s too much going on, too much violence,” Thomasine Fry said. Fry moved to this area eight years ago. She said since living in the neighborhood she’s never experienced a violent death so close to her doorstep. “The whole neighborhood is quiet. We don’t have (any) problems on this block,” Fry said. According to police, Fry's 31-year-old neighbor was killed in the shooting just after 3:30 Thursday morning. Fry described her neighbor as a mother who ran a day care out of her home for seven years. She said she lived in the home with her significant other, and they appeared to be a normal, happy family. "They (were) quiet. The kids (were) out there playing. They would barbecue, swim, play basketball, quiet,” Fry said.